If you’re having a problem with your Broadcom Bluetooth driver in your computer, you’re not alone. But don’t worry. There are solutions to solve the Broadcom Bluetooth driver issue in Windows 10/8/7. 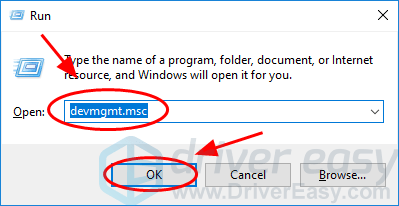 As you may have already known, Broadcom Bluetooth drivers for Windows are not available anymore on Broadcom website, so you should update the Broadcom Bluetooth driver by installing the Windows updates. The drivers updates are not always downloaded automatically by Windows Update. So we provide these two ways to download and install the Broadcom Bluetooth driver for Windows 10, Windows 8 and Windows 7. What is the Broadcom Bluetooth driver? Broadcom Bluetooth is a simple and easy-to-use Bluetooth program from Broadcom, providing enhanced data rates. The Broadcom Bluetooth driver offers support for any Broadcom device installed in Windows 10, Windows 8.1, Windows 8, Windows 7, and Windows XP. If there’s something wrong with the Boradcom Bluetooth driver in your computer, it causes problems in your Bluetooth device. So updating your Broadcom Bluetooth driver can solve the issue. 3) In Device Manager, double click Bluetooth to expand it. 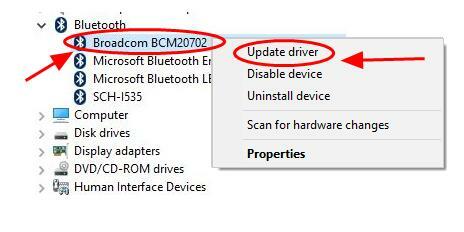 4) Right click your Broadcom Bluetooth device (it may be displayed as Unknown device), and click Update driver. 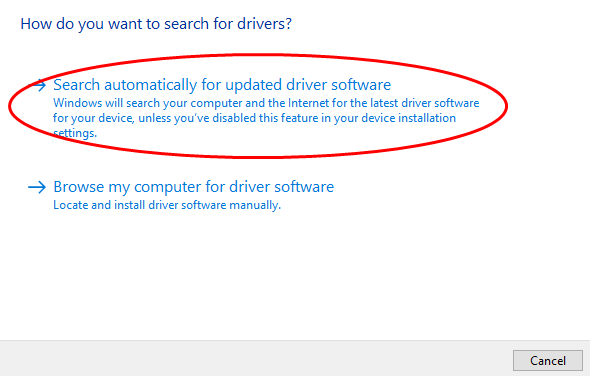 5) Select Search automatically for updated driver software. 6) Wait for it searching online and update your Broadcome driver. 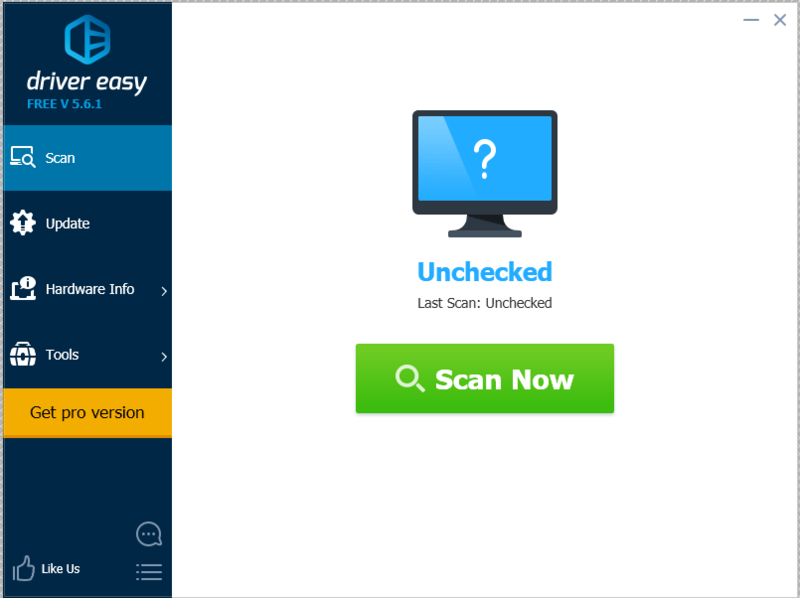 7) Click Close after updating. If your Broadcom Bluetooth driver issue still persists, don’t worry. You can try fix 2. 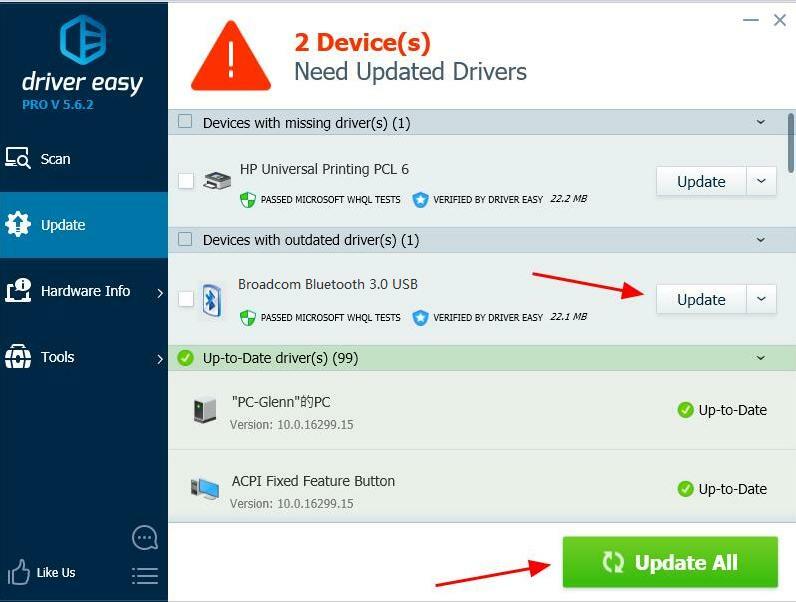 You can automatically update your Broadcom Bluetooth drivers to the latest correct version with Driver Easy. 3) Click the Update button next to the flagged Bluetooth device to automatically download and install the correct version of that driver (you can do this with the FREE version). Or click Update All to automatically download and install the correct version of all the drivers that are missing or out of date on your system (This requires the Pro version – you’ll be prompted to upgrade when your click Update All). That’s it! 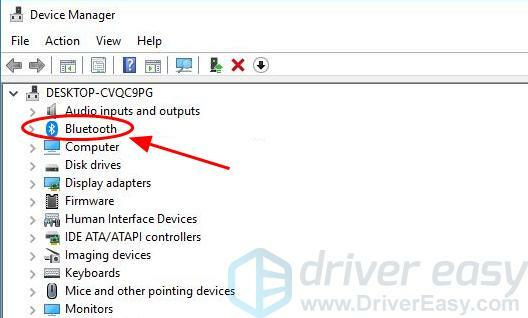 Hope this article serves its purpose and help you download and install the Broadcom Bluetooth driver in Windows.